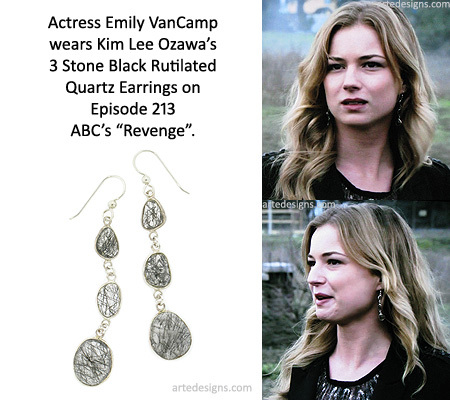 Handmade Jewelry As Seen On Revenge Series Finale "Emily Thorne" (Emily VanCamp), Episode "Two Graves”. 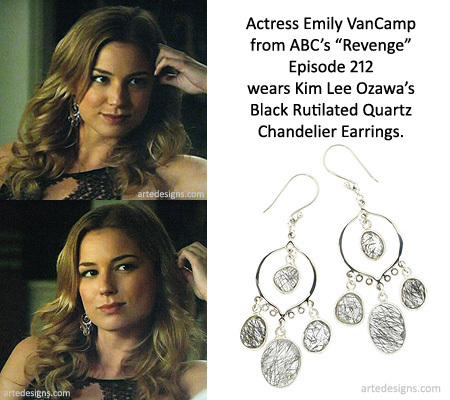 Handmade Jewelry As Seen On Revenge "Emily Thorne" (Emily VanCamp), Episode "Aftermath”. 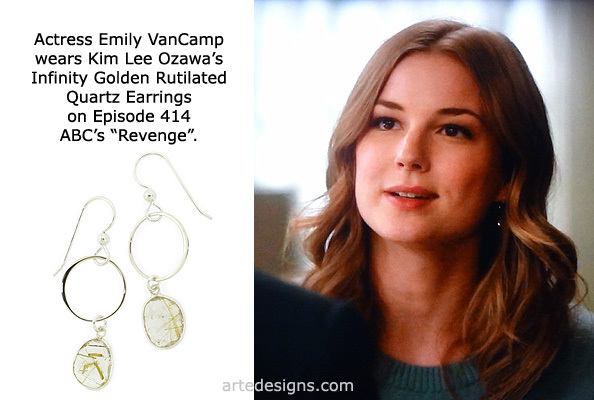 Handmade Jewelry As Seen On Revenge "Emily Thorne" (Emily VanCamp), Episode "Loss”. 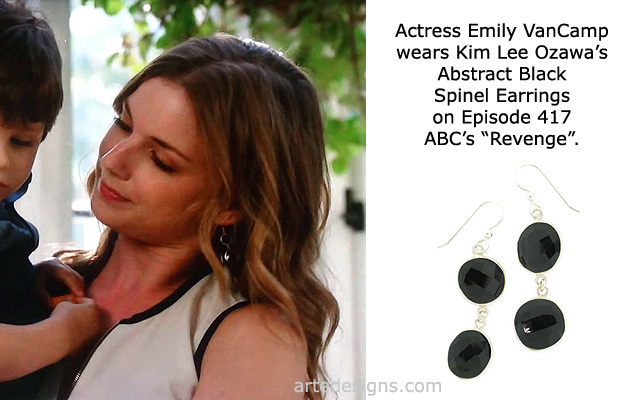 Handmade Jewelry As Seen On Revenge "Emily Thorne" (Emily VanCamp), Episode "Kindred”. 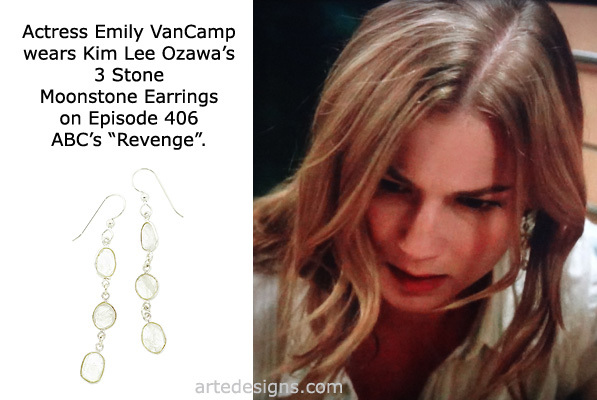 Handmade Jewelry As Seen On Revenge "Emily Thorne" (Emily VanCamp), Episode "Atonement”. 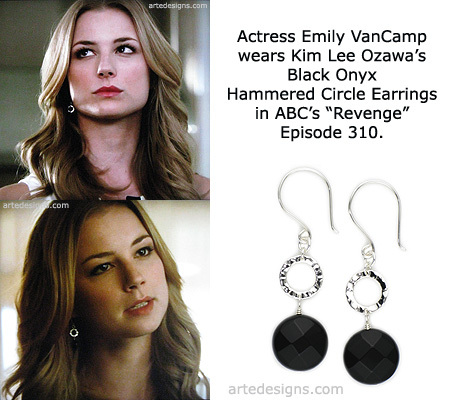 Handmade Jewelry As Seen On Revenge "Emily Thorne" (Emily VanCamp), Episode "Damage”. 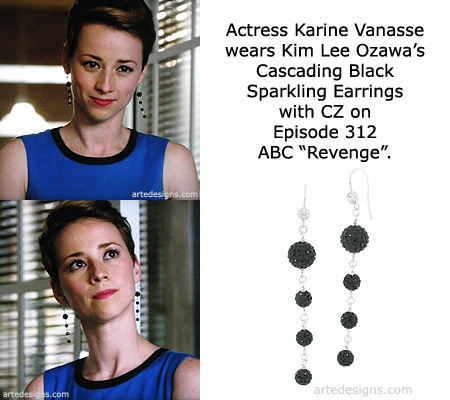 Handmade Jewelry As Seen On Revenge "Margaux LeMarchal" (Karine Vanasse), Episode "Damage”. 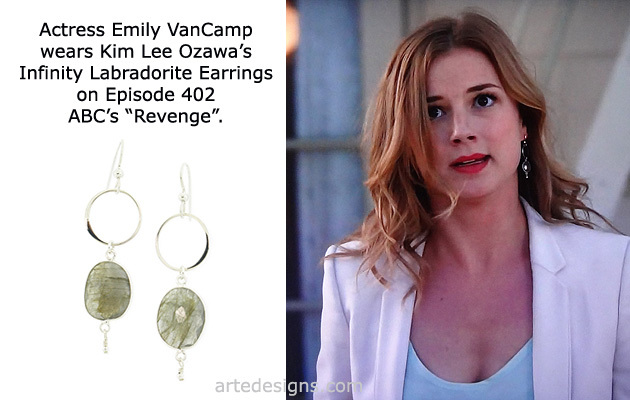 Handmade Jewelry As Seen On Revenge "Emily Thorne" (Emily VanCamp), Episode "Repercussions”. 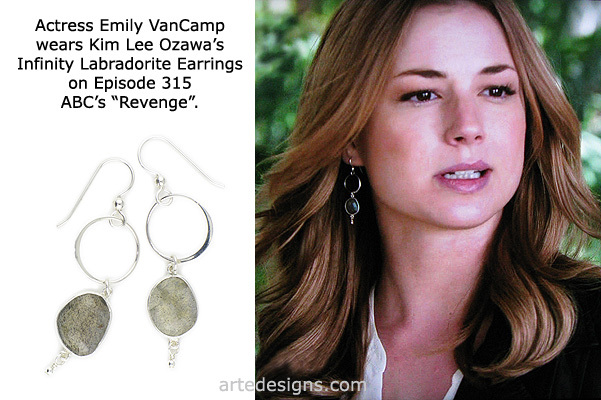 Handmade Jewelry As Seen On Revenge "Emily Thorne" (Emily VanCamp), Episode "Ashes”. 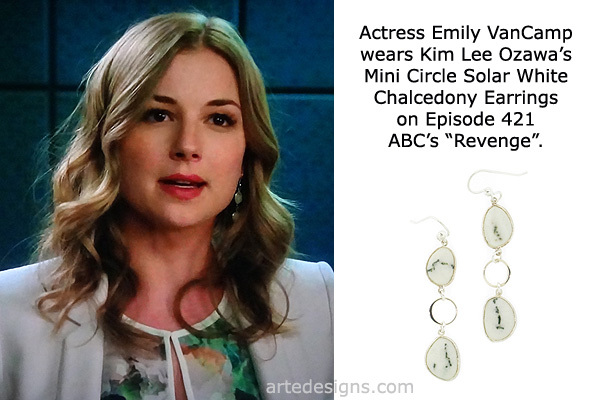 Handmade Jewelry As Seen On Revenge "Emily Thorne" (Emily VanCamp), Episode "Disclosure”. 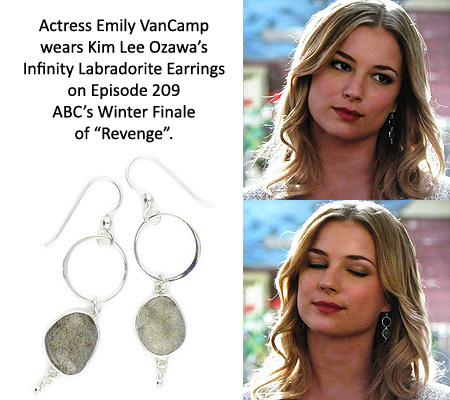 Handmade Jewelry As Seen On Revenge "Emily Thorne" (Emily VanCamp), Episode "Impetus”. Handmade Jewelry As Seen On Revenge "Emily Thorne" (Emily VanCamp), Episode "Revolution”. 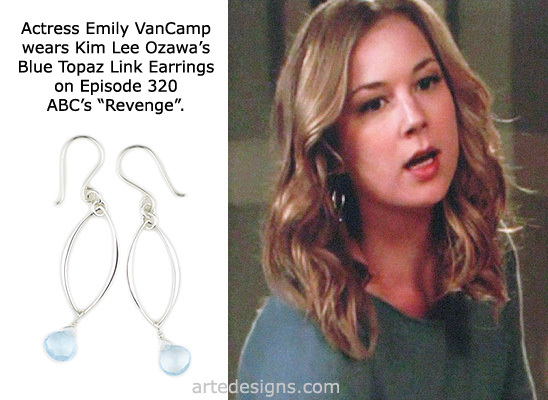 Handmade Jewelry As Seen On Revenge "Emily Thorne" (Emily VanCamp), Episode "Struggle”. 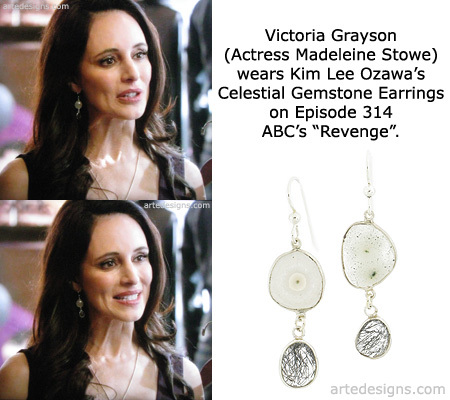 Handmade Jewelry As Seen On Revenge "Victoria Grayson" (Madeleine Stowe), Episode "Payback”. 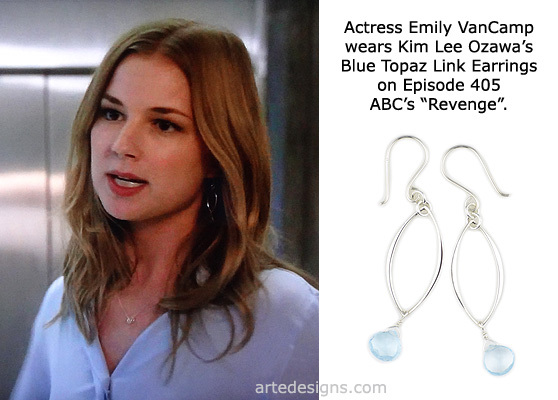 Handmade Jewelry As Seen On Revenge "Emily Thorne" (Emily VanCamp), Episode "Hatred”. Handmade Jewelry As Seen On Revenge "Emily Thorne" (Emily VanCamp), Episode "Endurance”. 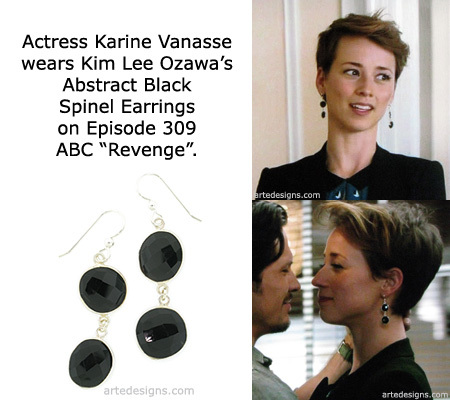 Handmade Jewelry As Seen On Revenge "Margaux LeMarchal" (Karine Vanasse), Episode "Endurance”. 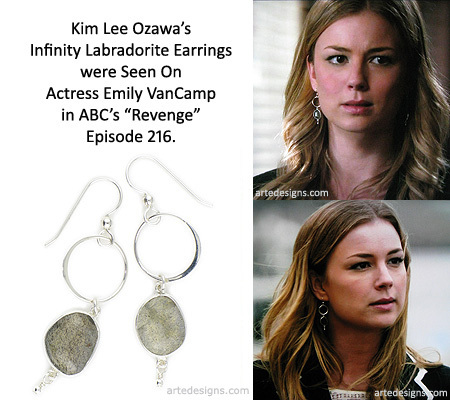 Handmade Jewelry As Seen On Revenge "Emily Thorne" (Emily VanCamp), Episode "Exodus”. 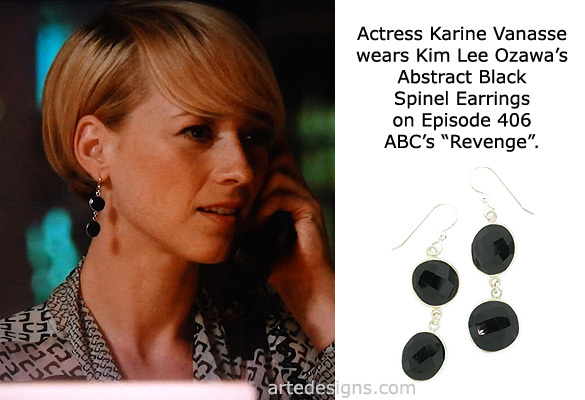 Handmade Jewelry As Seen On Revenge "Margaux LeMarchal" (Karine Vanasse), Episode "Surrender”. 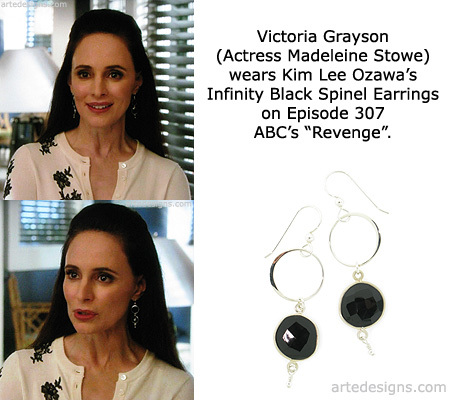 Handmade Jewelry As Seen On Revenge "Victoria Grayson" (Madeleine Stowe), Episode "Resurgence”. 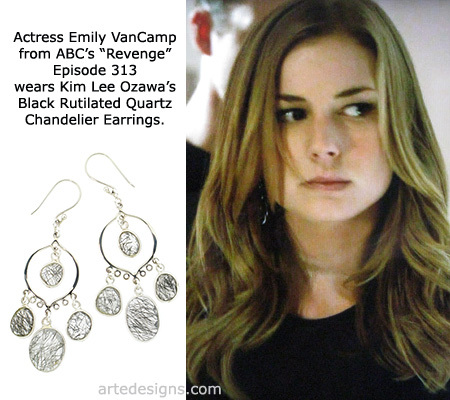 Handmade Jewelry As Seen On Revenge "Emily Thorne" (Emily VanCamp), Episode "Control”. Handmade Jewelry As Seen On Revenge "Emily Thorne" (Emily VanCamp), Episode "Sin”. 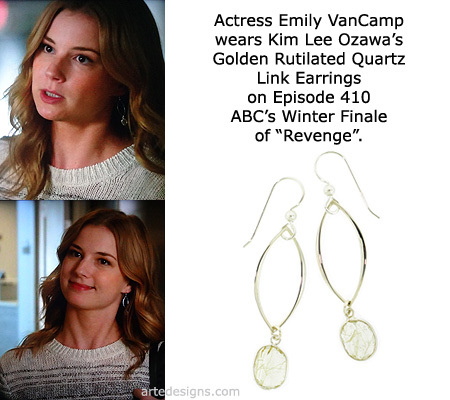 Handmade Jewelry As Seen On Revenge "Emily Thorne" (Emily VanCamp), Episode "Illumination”. 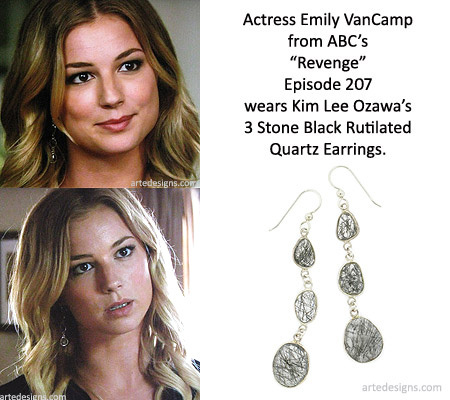 Handmade Jewelry As Seen On Revenge "Emily Thorne" (Emily VanCamp), Episode "Retribution”. Handmade Jewelry As Seen On Revenge "Emily Thorne" (Emily VanCamp), Episode "Union”. 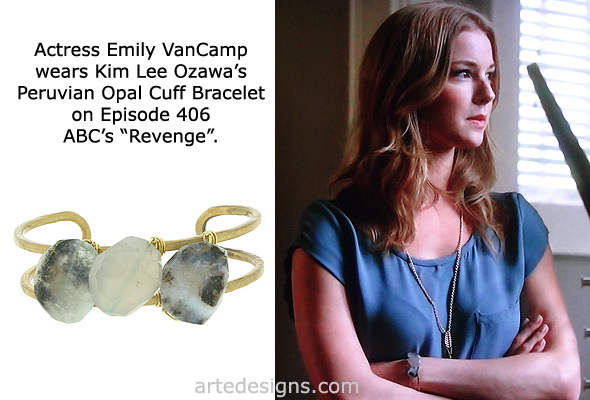 Handmade Jewelry As Seen On Revenge "Emily Thorne" (Emily VanCamp), Episode "Collusion”. 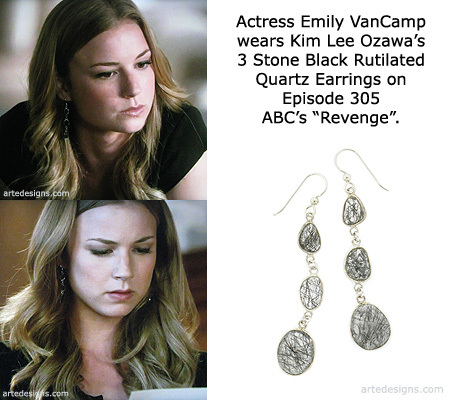 Handmade Jewelry As Seen On Revenge "Emily Thorne" (Emily VanCamp), Episode "Revelations”. 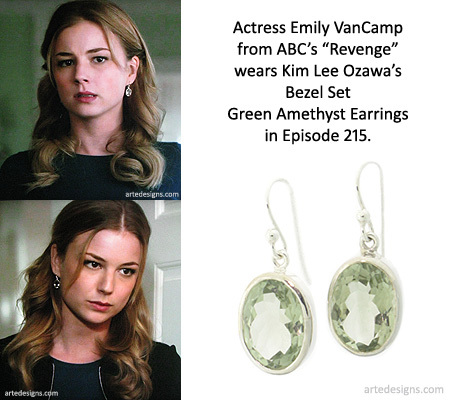 Handmade Jewelry As Seen On "Emily Thorne" (Emily VanCamp) in Revenge, Episode "Penance”.